We know how much fun water slides can be, especially for young children, so we're calling on Slide the City to donate their after-cost proceeds to paying water bills for families in need. In addition, why not set a sliding fee scale so low-income families can also ride the slide? 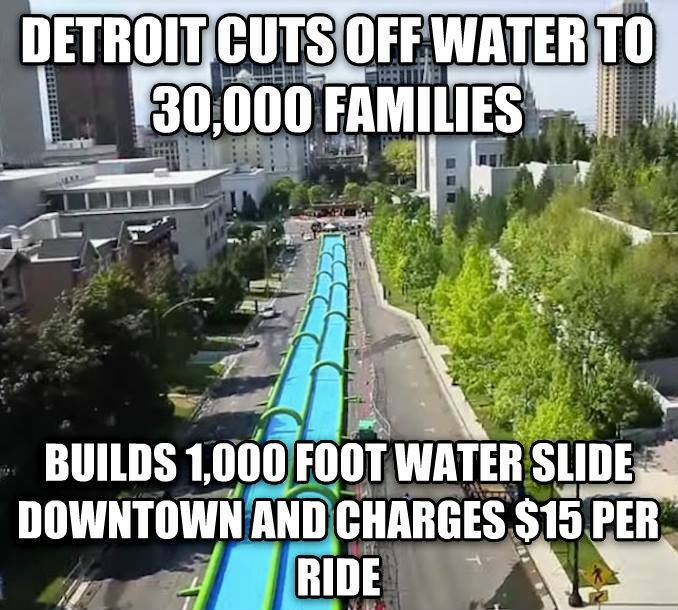 You could even bring the slide out of downtown to one of Detroit's many neighborhoods, where most of the city and its children live. We'll happily help promote your entertaining slide if everyone can have a chance to ride on it. If done right, the slide will create jobs and fun for Detroiters this summer.